Welcome to A Busy Mom’s Guide Series! Are you a busy mom who is desperate to implement better time management and systems to create margin and reduce the stress in your life? If so, you are in the right place. 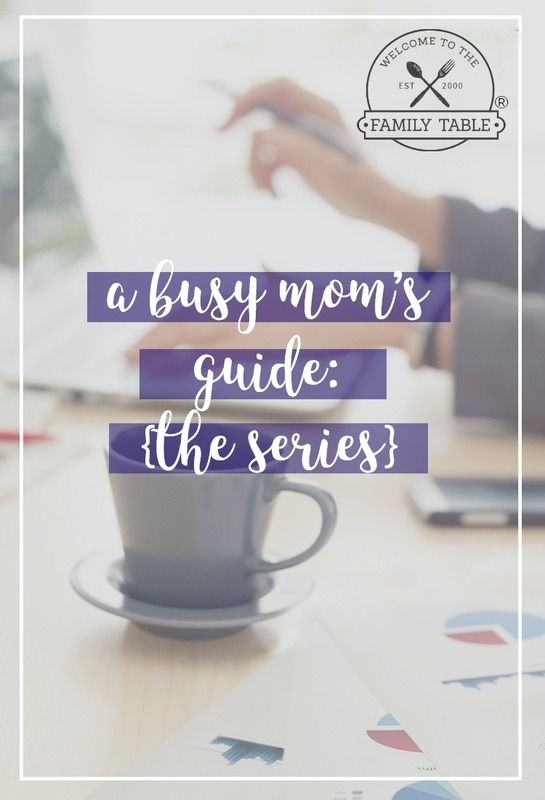 A Busy Mom’s Guide is a series of blog posts written by a veteran stay-at-home, work-at-home, homeschooling mom of three. Through this series you will gain insight and practical tips to help manage your day-to-day tasks in a way that is designed to give you more peace and flexibility. Within these short, easy to read posts you will get the help you need to change your life, for the better, today! Interested in a topic? Simply click on any of the topics below and you will be taken to that blog post so you can start making your busy life work for you, not you working for it! This series is designed to help today’s busy mom accomplish all that needs to be done while saving her sanity at the same time! We hope you enjoy the series and that it helps bring peace and organization to your home!